Abbasi is a true loyalist of Sharif and stood with him when his government was toppled in 1999 by former Pakistani military dictator Pervez Musharraf. Shahid Khaqan Abbasi, who was imprisoned after the coup, spent two years in jail. Islamabad: Shahid Khaqan Abbasi, Pakistan's interim Prime Minister, is a long-time loyalist of ousted premier Nawaz Sharif and one of the wealthiest parliamentarians in the country. Abbasi, 58, hails from the famous hill resort of Murree in Rawapindi district of Punjab province and was minister for petroleum in the ousted government. A die-hard supporter of Sharif, he was elected Prime Minister by Pakistan's National Assembly and put up a strong defence of the ousted leader, saying that he may have been disqualified by the Supreme Court but remains the "people's premier". Sharif's Pakistan Muslim League-Nawaz (PML-N) nominated Abbasi as the interim Prime Minister until Sharif's brother and Punjab province chief minister Shehbaz Sharif is elected as a National Assembly member. He was the part of Sharif's team which was tasked to address the energy crisis in the country. He is a true loyalist of Sharif and stood with him when his government was toppled in 1999 by former Pakistani military dictator Pervez Musharraf. Abbasi, who was imprisoned after the coup, spent two years in jail. But unlike many other colleagues of Sharif, Abbasi remained steadfast and did not switch sides. It was one of the reasons that Sharif chose him as the interim leader. Abbasi, an electrical engineer with a master's degree from George Washington University, joined politics rather abruptly after his father Khaqan Abbasi was killed on April 10, 1988 when his car was hit by a missile after Ojhri Camp arms depot disaster in Rawalpindi. His father was the minister for production in the cabinet of then Prime Minister Muhammad Khan Junejo. 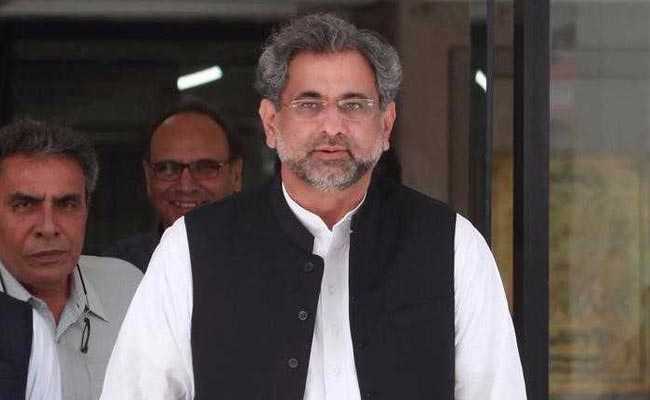 Abbasi has been elected at least six times (1988, 1990, 1993, 1997, 2008 and 2013) as a member of the parliament and was defeated just once in 2002 when he lost to Pakistan People's Party candidate Ghulam Murtaza Satti. After winning elections in 1990 for the second time, he was made the parliamentary secretary for defence. After the 1993 general elections, he served as the chairman of the National Assembly's Standing Committee on Defence. Abbasi was elected for the fourth time in 1997 and served as the Chairman of Pakistan International Airlines from 1997 to 1999 during Nawaz Sharif's second term. He briefly held the positions of Minister for Commerce and Ministry of Defence Production in former prime minister Yousuf Raza Gilani's government in 2008 after the election but later resined as his PMLN party parted ways with the PPP. Earlier, after completing his education, he worked in the US and Saudi Arabia. Considered as one of the wealthiest parliamentarians in Pakistan, he set up his Air Blue airlines in Pakistan in 2003 and served as its chairman till 2007. The airlines is still operating successfully.